You feel the need for a change without going through the time and expense of a kitchen remodel… You want to follow the trends while avoiding a look that will loose its appeal prematurely… A traditional dining room has a neutral style that fits in with any period but to refresh its look here are a few inspiring and trendy ways to revamp your dining room a fresh, new look. The 10 ideas expressed in pictures can be customized to respect your space and budget. To create this kind of calm and soothing ambiance, neutral colors are the key with a few favorite accessories for decoration. The following example offers a ZEN chic style created by the combination of wood and the luxurious chairs. By combining black with the stark white of the tableware and the abundance of natural light from the large windows the look is a success and has given the traditional an update to this much sought after style. The pale, earthy tones of the furniture and accessories give this dining room a wonderful monochromatic style. What’s so great about these shades is that they tend to be timeless and are usually warm and classic. 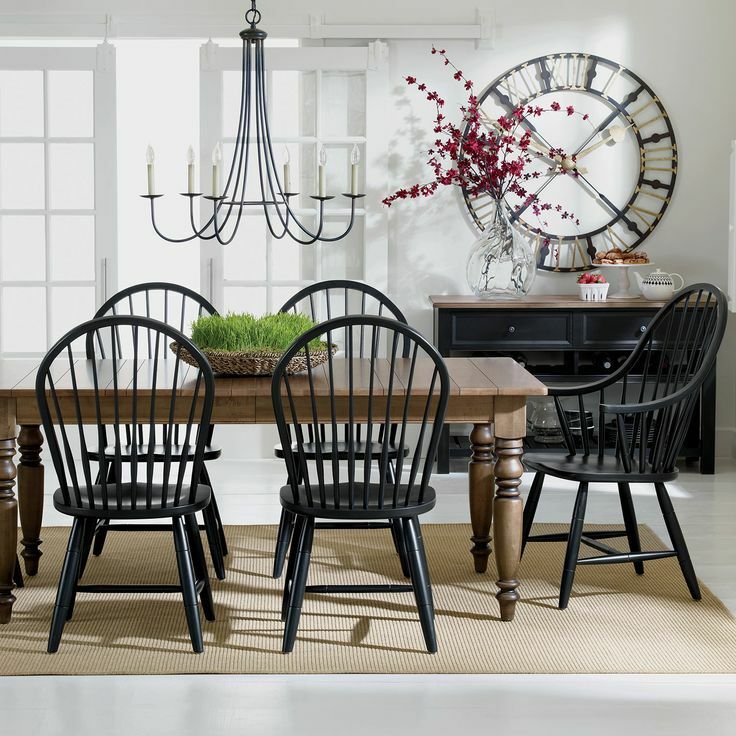 Here’s a nice way to update your traditional dining room. The large “butcher block” style table gives a somewhat contemporary feel to the furnishings and the wood adds a rustic warmth. White chairs are timeless and tie the whole thing together to give proportion to the different styles for a pleasing effect. Clean, comfortable lines steal the show! 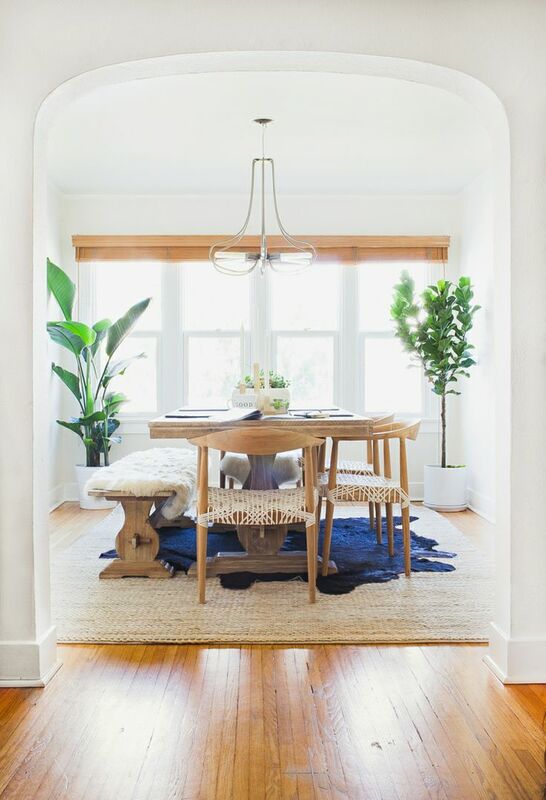 This traditional dining room offers comfortable style with its simplicity that speaks volumes! Furniture, colors and textures harmonize to create the quiet serenity of the room and an ambiance that will never grow old! 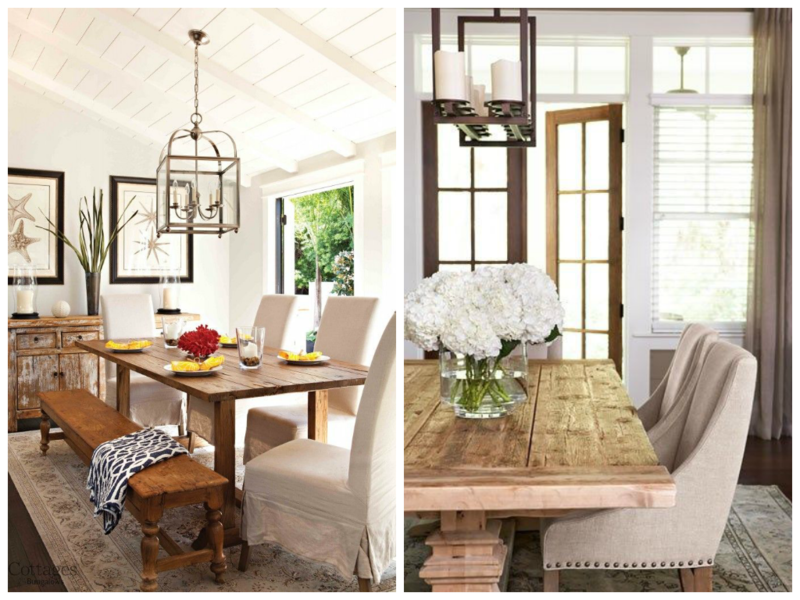 Here is a delightful country style dining area the breathes life into the open space. Oversize wicker chairs blend well with the bright colors of fabrics and greenery to energy to this family space…by the way yellow is trending this year! 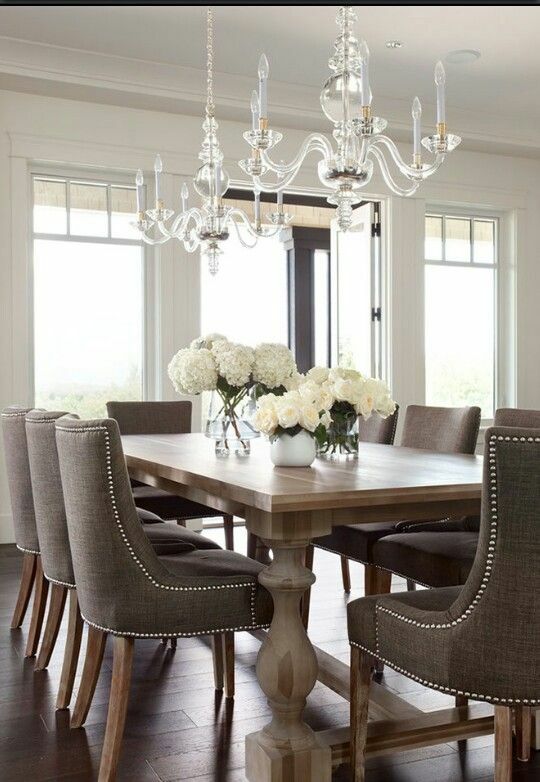 Where can i purchase the elegance in grey dining table and chairs? 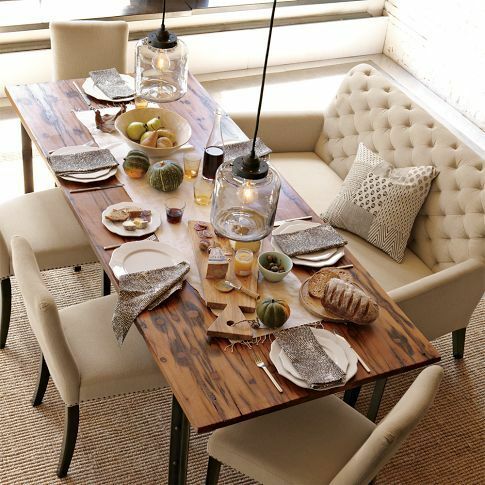 This is the style of dining tables you’ll find at Restoration Hardware & Ballard Designs. Thanks and let me know if you find the table of your dreams! Thanks for sharing. Where can I find the Elegance in Gray chandelier!? It’s stunning!